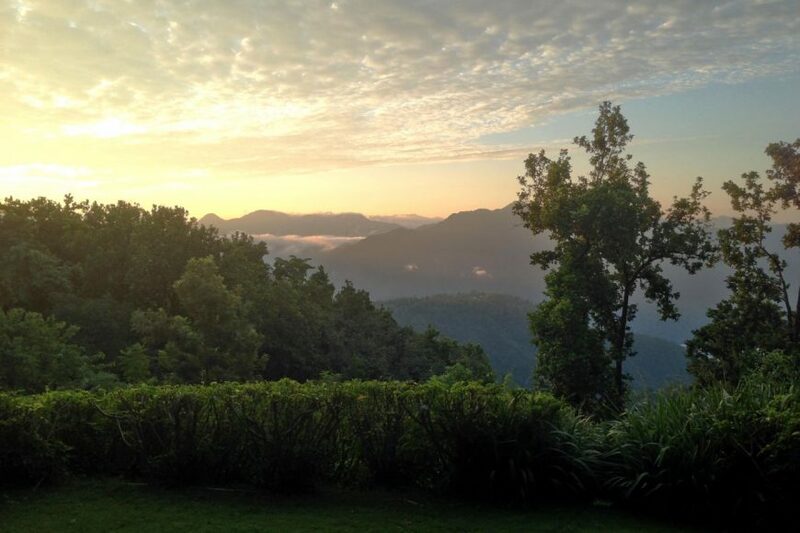 Set in a breathtaking national park, at the foothills of the Himalayas in Northern India, just 40 minutes from the yoga world capital of Rishikesh (some serious ‘omm’ going on here – it’s where The Beatles first met the Maharishi) – The Ananda is an award-winning luxury wellness retreat focussing on Ayurveda and Yoga while integrating international wellness therapies. Located on a 100 acre Maharaja’s Palace Estate, surrounded by Sal forests, it overlooks the spiritual town of Rishikesh and the Ganges river valley. Ananda integrates traditional Ayurveda, yoga and Vedanta with international wellness experiences, fitness and healthy organic cuisine to restore balance and harmonise energy. 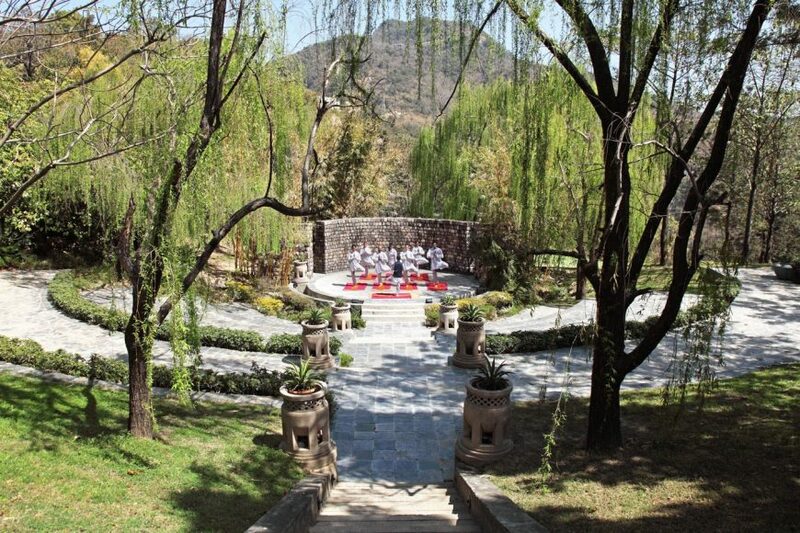 A world class wellbeing retreat offering traditional Indian wellness programmess, often cited as one of the best in Asia – based on the Hindu Vedanta philosophy that peace, happiness and wellbeing comes from within and works together as one. The 24,000 square foot spa boasts 24 treatment rooms with specialised areas for Ayurveda, Oriental and European systems of holistic health. Facilities include a temperature controlled outdoor lap pool, state of the art gym, hydrotherapy pools and a sauna. There are an extensive team of qualified nutritionists, western & Ayurvedic physicians and spa therapists specialising in ancient Indian sciences and modern western treatments. Each Ayurvedic treatment begins with a cleansing foot ritual and a melodic prayer. These were some of the most holistic and spiritual treatments I’ve ever experienced. During one of my favourites, Pizhichil (also known as The Kings Treatment) lukewarm herbal oils were poured continuously over my body for 45 minutes – a totally indulgent, rejuvenating experience which strengthens immunity, lubricates the joints and increases flexibility. Suffering periodically from a prolapsed disc for a number of years, the treatment definitely seemed to ease the pain – this may be due to the benefits of the heat and relaxation of muscles around the spine – either way it was a winner! Other Treatments include Mukhlepa – for centuries Mukhlepa has been used as a beauty ritual for Indian women. Traditional herbs are used to cleanse, exfoliate, tone and hydrate. A specialised dosha specific herbal lepa or mask is applied to the face ‘to bring out the beauty within’. Kati Vasti aims to ease pain in the spinal area by placing a small circle of paste made from black gram or wheat flour strategically on the spinal area. Warmed oil is then poured into this circle to soothe muscular tissue, alleviate pain and lubricate spinal discs and nerves. Ananda’s Ayurvedic Rejuvenation programme is designed with the aim of restoring vitality by eliminating toxins through traditional Panchakarma treatments, and by enhancing the body’s immunity through a combination of Ayurvedic treatments. The programme includes stimulating and purifying therapies, daily yoga and meditation and a Dosha-specific Ayurvedic diet to help reduce stress, improve health, address ailments and delay the ageing process. My programme began with a lifestyle consultation focusing on physical, mental and emotional health to help determine my dominant Dosha. The three Doshas (dynamic living forces) are Kapha, Pitta and Vata and most people have one dominant Dosha. The Ayurvedic physician then prepared a bespoke diet, treatment and exercise plan. Heavy and slow Kapha was my dominant Dosha, so I was prescribed a fresh light diet of fruits and vegetables combined with Ayurvedic treatments, yoga, meditation and a light exercise regime. Treatments and diets are geared to balance the three forces to achieve optimum wellbeing. The next five days consisted of early morning yoga and meditation sessions (for the first time in my life I actually mastered the art of meditation – the practitioners are excellent), daily Ayurvedic treatments with a focus on osteo-health, dips in the pool and wonderful walks and hikes through forests to various temples – as well as trips to the Ganges river and markets of Rishikesh. Though my prescribed diet plan was light, it was plentiful and delicious! Breakfast was fresh fruit juice, a lightly spiced tincture and cereal with almond milk, while dinners consisted of some of the best vegetable thalis I’ve ever tasted. 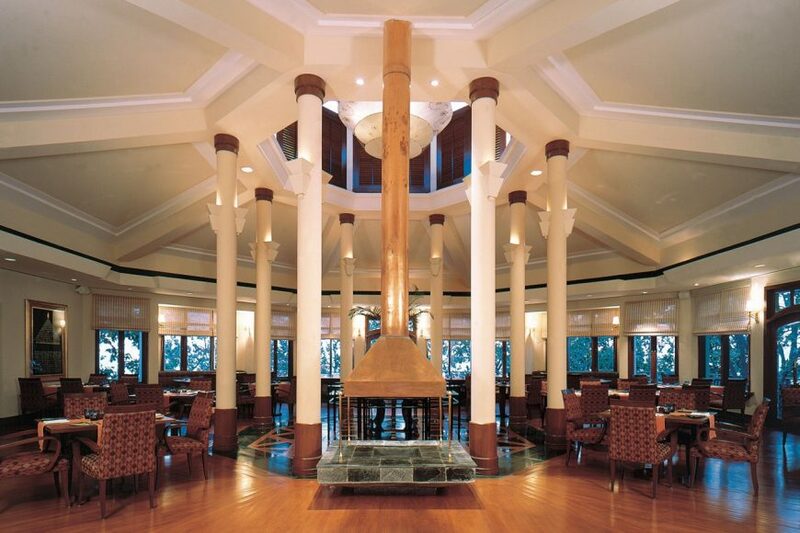 Five nights at The Ananda and I literally felt like I was floating on air – clear eyes, skin and head with a new lease of life. The setting of the retreat is breathtaking – peacocks and monkeys roam around freely – and the air is the cleanest you’ll breathe. If you’re looking for a complete wellbeing overhaul, rejuvenation and stress management in an idyllic spiritual setting then Ananda is the place for you. Most accommodation is situated in an annexe building down a hill from the main house and recently renovated rooms are super comfortable and spacious with all the luxuries you need – super comfy beds, balconies, tubs and mini bars with healthy treats. 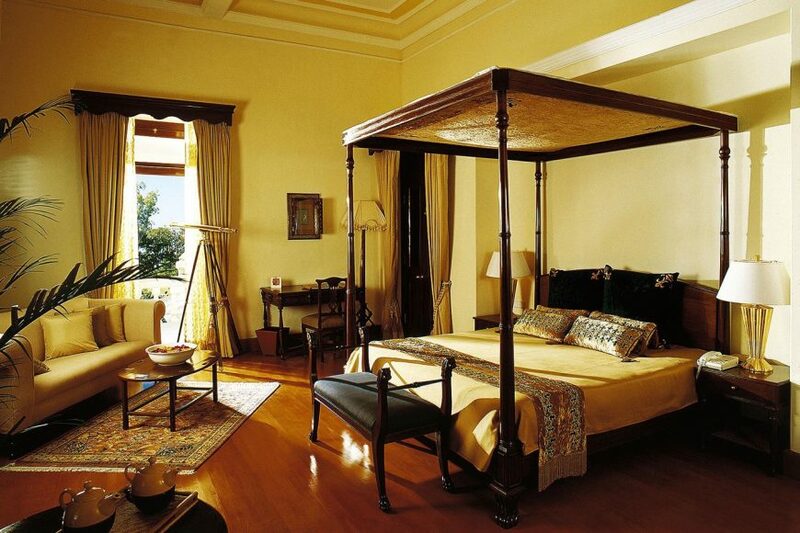 Opt for a valley room for a stunning view of the Ganges. Menus are provided in consultation with the in house Ayurvedic doctor, to align the specific imbalances of the various body types. Ananda’s wonderful Ayurvedic cuisine is served in the main restaurant and consists of fresh natural foods (low in fat and calories) with an emphasis on whole grains, fresh fruits and vegetables, lean proteins, low-fat dairy products and no added salts or artificial colours, flavours, or preservatives. Breakfasts consist of cereals, almond yoghurt and fresh fruits with Ayurvedic tinctures – infused with cardamon, cumin and various other spices. In the evenings we dined on mildly spiced, but completely delicious, vegetarian curries. The three hour uphill hike to the beautiful Kunjapuri Temple – which takes place twice a week – where you can have a Hindu blessing and take in the breathtaking mountain views. An excursion to Rishikesh for the Ganga Aarti (evening prayer ceremony) is a truly incredible experience. 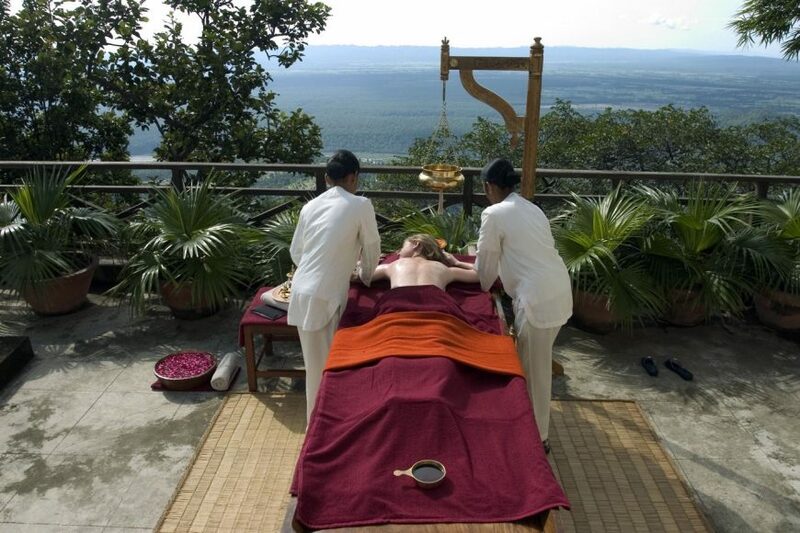 Ananda’s Ayurvedic rejuvenation package is a program designed with the aim of restoring vitality of the body by eliminating toxins through some traditional Panchakarma treatments and by enhancing the body’s immunity through a combination of Ayurvedic treatments, body type based diet and Yoga. In this package we work on the proper activity pattern and food habits to lead a healthy life based on the principles of Ayurveda. This programme includes stimulating and purifying therapies, daily Yoga and Meditation and Dosha-specific Ayurvedic diet to help reduce stress, improve health and address common ailments or simply delay the aging process.